This is a reprint of an article that Mike Adams did back in December of 2011 that ought to rile most people up. Vaccines kill more children than the diseases they are meant to cure every year. Take your annual Flu shot do ya? You are at higher risk of dying or having a major complication from that vaccine than if you actually got the flu. That is according to CDC reports which by the way are made public but very hard to find every year. A recent report came out that there is an epidemic of paralysis caused by polio vaccine in India. This is becoming a major drain on their medical system. Vaccines are dangerous and the Pharmaceutical companies, the FDA, CDC and even many in Congress know it. So do many physicians. 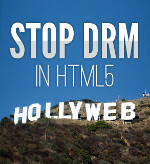 So, why do they continue to insist on giving them…BILLIONS and BILLIONS of dollars in profits thats why. they could care less about you or your children as long as they make their money. 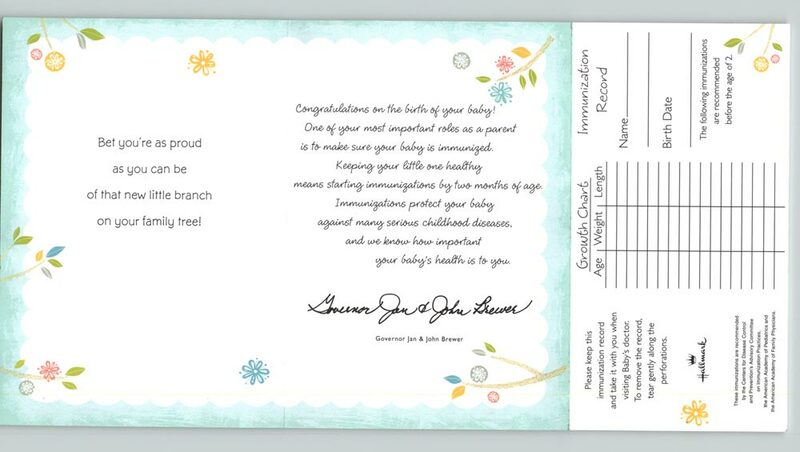 (NaturalNews) The Arizona Department of Health Services wants to remind parents to inject their newborn babies with neurologically-damaging chemical adjuvants found in vaccines, and to aid in this effort, they’ve teamed up with Hallmark, the famous greeting card company. 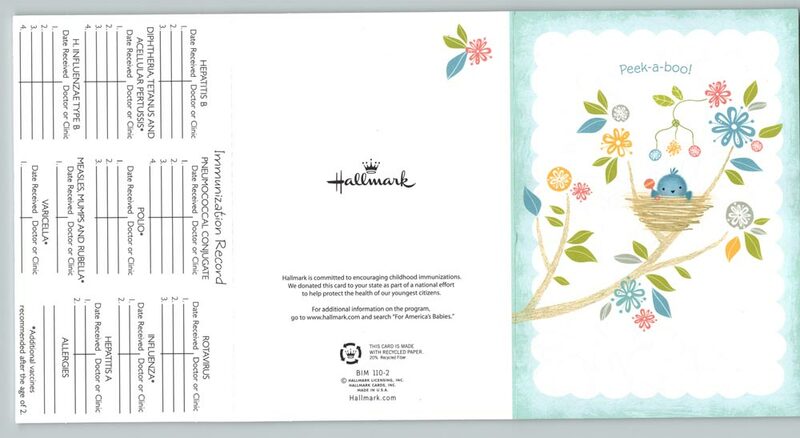 I find it fascinating that Hallmark, a greeting card company that usually churns out feel-good blessings and warm fuzzy limericks is now openly advocating chemicals that kill babies. Targeting Latino newborns? Si! Se puede! But of course, we know the real agenda of pushing vaccines to new moms in Arizona. I lived in Tucson for many years and I’ve seen the local politics at work. Arizona is a state that’s overrun by the financial costs of providing medical care to so-called “illegals” — undocumented residents who pay little or no taxes but often burden the state’s coffers for hospital expenditures. Perhaps Arizona Governor Jan Brewer agrees with that assessment. What better way to reduce Arizona’s financial burden on the Latino community than to make sure as many as possible get sterilized at the earliest available opportunity? All the better that the entire campaign can be shrouded in the language of “caring for your precious little baby.” You mean the baby that cost the state of Arizona a hundred thousand dollars in emergency childbirth expenses that will never be repaid? That’s the kind of baby the state wants to prevent from ever happening again, it turns out. That’s what the state politicians are saying behind closed doors, in reality. They figure you can’t just force all the Latinos to be sterilized by injection. So instead, you have to trick them into sterilizing their own little children. Nothing halts the family tree as quickly as a few rounds of voluntary vaccine shots for momma and daughter. And heck, even if the shots don’t kill ’em, the child will have a weakened immune system which translates into a lifetime of Big Pharma revenue from sickness and disease. Everyone AROUND your baby should get vaccinated, too! 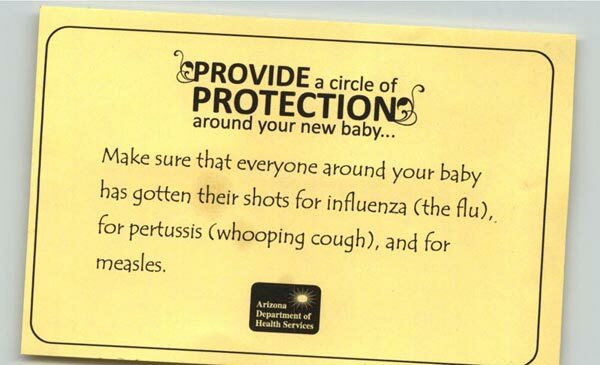 Continuing the propaganda push, the AZ Department of Health Services includes yet another piece of printed propaganda, claiming that everyonearound your babymust also get vaccinated with multiple vaccine shots. So now you’re supposed to push every member of the family to go get vaccinatedfor the benefit of the baby! See how this works? So cousin Jorge, who is about to impregnate another Latino teen, can get sterilized too. It’s sort of like a viral form of socially-enforced sterilization, brought to you by the wonderful people at the state of Arizona and Hallmark, headquartered in Kansas City. NaturalNews has learned that Hallmark is also conspiring with Colorado officials to push vaccine shot compliance cards onto new moms across that state, too. No doubt other states are also working on similar programs to distribute Hallmark’s vaccine compliance propaganda to the new moms in their own states. What’s most interesting about all this is that people who choose to receive vaccine shots are allwinning the Darwin awardby effectively removing their own future generations from the gene pool. These vaccines create a trans-generational sterilization burden that increases with each successive generation until it brings newborns to the point of genetic extinction (http://www.naturalnews.com/033406_vaccines_polysorbate_80.html). That’s why I’ve called flu shots a “great IQ test” to see who is stupid enough to actually take them. In a way, the globalists are actually trying to reverse the “moronification” of the human race by eliminating low-IQ people from the future of human fertility. And it turns out that gullible people who inject their own children with toxic vaccines come from all races and nationalities: White, black, Latino, Asian, you name it! That’s why vaccines, as they are irresponsibly pushed on children today with the use of brain-damaging chemical adjuvants, are really a crime against humanity. You can surround these crimes with warm and fuzzy language in a Hallmark card, but that doesn’t make it any less of a crime, of course. It’s still a chemical assault on an innocent child, and that’s a crime no matter how many fuzzy bears and cuddly cartoons you slap on the front of a greeting card. In the mean time, I recommend we all boycott Hallmark for their role in pushing dangerous and oftendeadly vaccinesonto newborns in Arizona. It’s yet another example of shameful corporate behavior that betrays the trust of the people while serving the selfish interests of the State. This tidbit was in a recent one. In 1913, two Russian researchers fed large amounts of cholesterol to a group of hungry rabbits. When they saw yellow gunk clogging the rabbits arteries, they leap to the conclusion that cholesterol must be responsible for coronary artery disease. Ford explained that dietary cholesterol is harmful only if it is stale or rancid. When he read the original article by the Russians he was amazed to discover that they had fed their rabbits ‘pure crystalline cholesterol dissolved in vegetable oil’ to produce the cholesterol buildup in arteries. 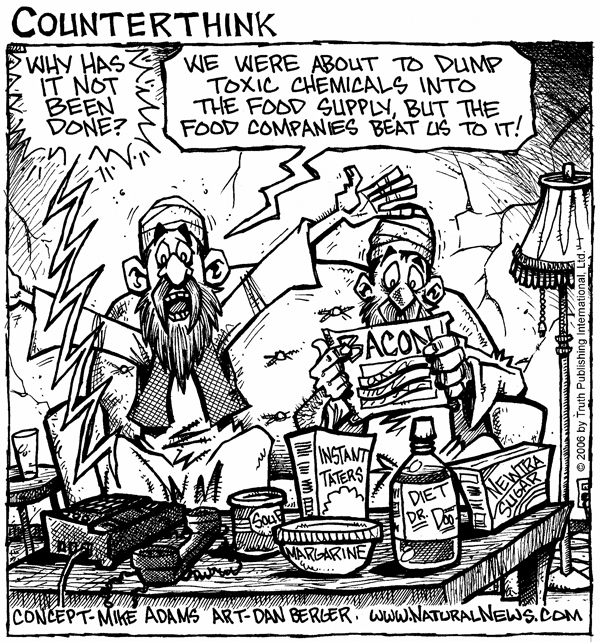 They didn’t stop to think that crystalline cholesterol is not something the body can use but is ‘an unnatural stale substance now known as oxycholesterol, which is not found in fresh food or in the healthy human body.’ Ford said the cholesterol theory is untrue and has served to deceive us by delaying discovery of the true causes and cures. A new review from UK and German researchers claims that the vast majority of people who routinely use drugs are using them to achieve their goals and cope better with the stresses of modern life. Christian Muller and Gunter Schumann suggest that drugs, from alcohol and nicotine through to ecstasy and even cocaine, can have ‘beneficial effects for an individual in modern environments’. They argue for an acknowledgment that typical, non-addicted use of drugs by many people improves their experience, behavior, or performance in various contexts such as career or social life. By accepting this reality, they suggest, drugs advice in schools and clinical settings can be made more realistic and effective. In the journal of Behavioral and Brain Sciences published by Cambridge University Press, Muller and Schumann’s article, ‘Drugs as instruments – a new framework for non-addictive psychoactive drug use’, introduces the concept that drugs are being routinely used by many as helpful ‘instruments’ in their lives. After an exhaustive trawl of scores of studies into drug use, they claim that most regular consumers of drugs are not, and will never become, addicts. While considerable research effort has been made to understand drug addiction and how it develops, they write, there has been no similar attempt to research the beneficial effects of drugs on non-addicted users. Presenting a new framework for non-addictive drug use, they list the advantages reported by people engaged in this behavior, including beneficial effects on mood enhancement, stress reduction, sociability, mental health, long-term cognitive functioning and work performance. Muller and Schumann go on to suggest that a non-addictive use of drugs may have evolved to help the human race adapt to different aspects of life, and that we have learned to use drugs in ways that enhance our chances for survival and reproduction. Examples include alcohol helping a shy person overcome their shyness and initiate a sexual encounter, or amphetamines helping a tired student stay awake and study for crucial exams that will determine success in their professional life. For instance, drugs like alcohol, cocaine, amphetamine and ecstasy help us make the rapid transition from a work microenvironment to a social one: “alcohol reduces social inhibition, social anxiety, and increases talkativeness”. Similarly the demands of modern work microenvironments cause fatigue and declines in cognitive performance: “having the means to ‘artificially’ prolong performance may be a benefit”. b. For people who have already integrated drugs in their life’s routines, emphasize the need to stay in control of drug use. In particular, during stressful periods of transition in life, there is an increased danger of developing new forms of drug instrumentalization. Education programms “should aim to train young people to self-analyze their drug instrumentalization”. c. For people who are at risk of a transition to drug addiction, over-instrumentalization of drugs, and a dependence on the drug to achieve major goals in life, needs to be prevented. A drug-use ‘biography’ should be created predicting whether the user is likely to be able to maintain use of drugs to help with goals or lose control of their use. 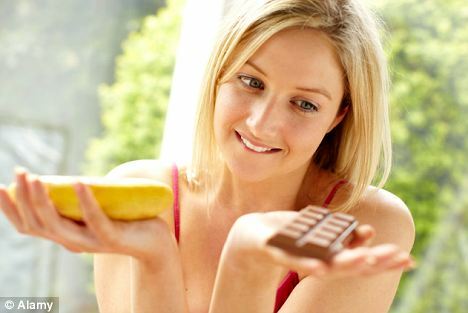 It is the news that chocoholics have been waiting for: chocolate has been classed as a superfood. Research shows that dark chocolate is richer in health-boosting antioxidants than juices made from blueberries, cranberries and other so-called ‘superfruits’. And although strictly speaking cocoa comes from a seed rather than a fruit, the researchers say that should not stop one of our favourite sweet treats from joining the legions of superfruits. British experts said that while US chocolate company Hershey may have ulterior motives for doing the study, a little of what we fancy is unlikely to do us too much harm. Scientists at Hershey’s centre for health and nutrition compared the amount of antioxidants in a blueberry, cranberry, pomegranate and acai fruit juices. Levels in 40g bars of dark chocolate and in mugs of cocoa and drinking chocolate were also analysed. The small bars of dark chocolate came out top in all the tests, the Chemistry Central Journal reports. Cocoa and dark chocolate triumphed in tests for flavanols, an antioxidant family credited with feats from preventing wrinkles to cutting the risk of heart disease. Drinking chocolate, however, came last in all the tests, likely due to the antioxidants being stripped out during processing. Dr Debra Miller, the study’s senior author, said that we need to look past ‘macronutrients’ like fat and protein when assessing the nutritional value of chocolate. She said: ‘Cocoa powder provides nutritive value beyond that derived from its macronutrient composition. Other recent research has shown that just a chunk of dark chocolate a day could cut the risk of heart disease by up to a third. Just 6.7g a day, or a quarter of an ounce, proved optimum for heart health. Researchers have even gone as far as to claim that the smell of chocolate alone can protect against colds. But, sadly for chocolate lovers, the treat’s high fat and sugar content means dieticians recommend it is eaten as part of a balanced diet, rich in less appealing foods such a brown rice, pulses and fruit and vegetables. Tam Fry, of the National Obesity Forum, described the latest research as ‘a bit of fun’. He added: ‘It may be that dark chocolate does have more antioxidants than some terrific-sounding fruits. A new study has found that exercising could help cut symptoms of irritable bowel syndrome(IBS). These included abdominal pain and stool problems (constipation, diarrhea), as well as a lower quality of life overall. Score yet another one for physical activity, the one thing we can all do to help ourselves. Could Pneumonia Guidelines Be Making it Worse? (NaturalNews) Although malpractice and missing sponges have become somewhat silently accepted by the medical community there is a new alarming risk on the rise, Hospital Delirium. Hospital Delirium results from the combination of an unnatural environment, sleep deprivation and medications. It poses a silent threat to the health of all hospital patients, especially the elderly. Patients report experiencing zombie attacks, alien invasion, and other paranoid hallucinations. It may sound like a strange science fiction nightmare but in reality it occurs in up to 1/3 of the hospitalized geriatric population. Hospital delirium is marked by an inability to think clearly, disorientation, alertness fluctuations, hallucinations, and paranoia. It is usually sudden and can progress over hours or days. Hospital delirium is more prevalent and poses a greater risk for the geriatric population. In the allopathic medical system, the elderly are expected to be senile and disoriented. Because of this false expectation, patients experiencing hospital delirium are often dismissed as “normal aging” and ignored. Delirium and disorientation are not a part of the natural healing process and should always be observed as a warning sign. Mental status changes often indicate serious turns in medical conditions and should not be overlooked. The official cause of hospital delirium is undefined but the triggers are everywhere in the hospital atmosphere. Patients are placed in an unfamiliar and uncomfortable environment. They are usually suffering from dehydration, malnutrition, infection and/or anxiety. Patients can also be left feeling vulnerable due to the removal of their glasses or dentures. On top of that, add Pandora’s Box of drugs and medications, especially sedatives. Hospital delirium is the consequence of violating the simplest of nature’s laws and preventing the body from getting real, good ol’ fashioned sleep. Studies prove that disruption of sleep may contribute to delirium and cognitive dysfunction in ICU patients. Staff monitoring and unnatural lighting prevent proper rest. This is especially true when deprived of sensory stimulation in units without windows, such as Intensive Care Units. Hospitals are now beginning to recognize the importance of adjusting light cycles to sync with the body’s innate circadian rhythm and sleep wake cycle. Sleep allows the body to repair and restores the brain. It primes the brain for all the new knowledge it will acquire in the following day. Sleep distribution and sedation are linked as important factors because of their shared effects on memory. Interruption of this process, in combination with baseline vulnerability and other hospital triggers, provides the perfect cocktail for delirium. Hospital delirium is now found to have some lasting effects. Due to complications and postponed surgeries, hospital stays are on average six days longer when patients experienced delirium. Delirium patients have a three times higher risk of death in six months. Hospital delirium can also be responsible for the premature placement of patients in short or long term care, such as nursing homes. Hospital delirium is finally being recognized but the current statistics are still vastly under estimated. Most practitioners avoid the use of the term delirium and use synonyms like confusion or agitation instead. Although hospital delirium can cause outbursts and aggressive behavior, it can also silently occur in patients who appear to be resting quietly. Patients can become too paranoid to speak or share their hallucinations, so they suffer in silence and their experience goes unreported. Although the public knows little of the issue, many hospitals are acknowledging the problem and initiating new natural protocols including massage and meditation. When hospital stays are unavoidable, awareness and familial support are the best ways to protect yourself and loved ones. Belluck, P. (2010, June 20). Hallucination in Hospital Pose Risk to Elderly. The New York Times. Collins, N., Blanchard, M., Tookman, A., & Sampson, E. (2009). Detection of delirium in acute hospital. Age and Ageing Oxford Journals. 131 (5). Maze, M., Sanders, RD. 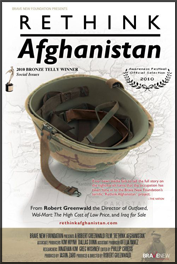 (2010, Dec. 18). Contribution of sedative-hypnotic agents to delirium via modulation of the sleep pathway. I am student in a Naturopathic Doctorate Program, expecting to graduate in 2013. I am not a doctor and not giving any medical advice, just spreading the word of natural living, and the pressing health revolution. (NaturalNews) Bill Gates is promoting a plan to use wireless technology to register every newborn on the planet in a vaccine database. The number of children who die before their fifth birthday has already dropped from 20 million in 1960 to 8.5 million today, a statistic Gates attributes mostly to vaccination. Gates suggested using cell phones to record each birth and send the information, including biometric identifiers, to a central database. This database would then send reminders to parents’ phones when it was time to come in for vaccines or other treatments. He said a prime location to implement such programs would be northern Nigeria or northern India, where vaccination rates are less than 50 percent. Gates also called for use of mobile technology to implement more continuous monitoring of vaccine supply chains. (NaturalNews) In an independent review published in a peer-reviewed medical journal (see below), a popular herbal immune supplement called “ImmunoFlu Remedy” was found to fraudulently marketed as a “flu prevention supplement.” Its makers claim that if you take the supplement, you won’t get the flu and won’t miss a day of work during the flu season (a silly claim, eh?). But clinical testing recently revealed that ImmunoFlu Remedy only works to reduce flu symptoms on 1 out of every 100 people who take the supplement, meaning it is 99 percent ineffective. An FTC spokesperson, commenting on the study results, characterized the marketing of ImmunoFlu Remedy as “obviously fraudulent” and a top FDA official has publicly promised to launch a criminal investigation into the makers of ImmunoFlu Remedy in order to “protect the public from misleading health claims.” Evidence has also surfaced that ImmunoFlu Remedy may contain trace levels of heavy metals linked to neurological disorders. Over a dozen children admitted to emergency rooms at hospitals across the country have been identified as consumers of ImmunoFlu Remedy, and two of those children died. The makers of ImmunoFlu Remedy are being ordered to remove the product from their website and recall the product from distributors and retailers. As shocking as all this sounds, there’s something you need to know as you continue reading this story here on NaturalNews. There is no such thing as ImmunoFlu Remedy. This story is actually about seasonal flu vaccines. Most of the details mentioned above, you see, are actually the true story about seasonal flu vaccines. Seasonal flu vaccines have been scientifically shown to reduce flu symptoms in only 1 out of every 100 people (they are ineffective on 99% of those receiving the shots) (http://www.naturalnews.com/029641_v…). Flu vaccines also contain chemical ingredients linked to neurological disorders, which is why so many children in Australia and around the world have been admitted to hospital emergency rooms suffering from seizures and convulsions following flu shot injections (http://www.naturalnews.com/029586_A…). Seasonal flu vaccines are also fraudulently marketed with blatantly false claims that they prevent the flu in everyone who receives a shot. “Get the shot and you won’t miss work” is one of the common claims made in flu shot promotions. Or, as Walgreens implies, “Get the shot and you won’t infect your family members.” That claim is blatantly misleading and scientifically false. And yet, despite this fraudulent marketing of a product that doesn’t work on 99% of those who take it, neither the FTC nor the FDA has taken any action against it. Marketers of flu vaccines, it turns out, can make any claims they wish, even if such claims are laughable in the face of scientific scrutiny. Forget the science… we’ve got vaccines to sell! Flu vaccines, you see, are immune from any real scientific scrutiny — even by the scientific community. The mythology of season flu vaccines has been so pervasive and so widely described as “scientific” that the truth of whether it’s really scientific no longer matters. Flu vaccines are simply assumed to work even without testing; without scientific evidence and without any legitimate application of skeptical thinking. There’s a word for that, of course. It’s the word used to describe a system of belief that requires no evidence… a system in which truths are materialized out of lies through the mere act of enough authoritative people uttering falsehoods until they all begin to believe each other. That word, of course, is a four-letter word: Cult. A cult need not answer to statistical scrutiny. It need not subject its own internal beliefs to outside review because everyone inside the cult already agrees on the answer — and why ask questions when we already know the truth, right? Such is the nature of the cult of flu vaccines. It’s a large cult, of course, but the sheer size of the cult in no way detracts from the fact that it is a cult nonetheless. In other words, just because millions of doctors believe the propaganda of a cult does not make it any less of a cult. Even if all the doctors, pharmacists and drug pushers in the world fall for a fictitious belief and put their faith and professional reputations on the line in order to back that belief, it’s still fiction. And it’s still a cult. There was a time in western medicine when doctors routinely prescribed mercury as a remedy to treat various afflictions. For example, mercury was frequently prescribed to treat syphilis. by H. N. COLE, M.D. ; A. J. GERICKE, M.D. ; TORALD SOLLMANN, M.D. Notice that the three authors were all MDs? That’s because doctors have historically been some of the most persistent promoters of poisonous concoctions that today we would call “quackery.” They even sought to destroy the careers and reputations of their own colleagues who pointed out that perhaps mercury should not be used as a medicine— or even the idea that surgeons should wash their hands! In fact, the term “quack” comes from the use of mercury by western doctors. Mercury, of course, was once called “quicksilver,” and the term was bastardized into the derogatory “quack” to refer to physicians who continued to use dangerous substances that harmed patients. Under that definition, today’s quacks are not homeopaths or herbalists but rather oncologists who poison their patients with chemotherapy in almost exactly the same way the quack doctors once poisoned their patients with mercury. Based nothing more than wishful thinking and physicians quoting each other as reliable sources of expert opinion, the whole of evidence supporting flu vaccines today amounts to little more than an intellectual circle jerk of truly bad science. Today’s flu vaccine-pushing physicians, you see, are no smarter than their colleagues from the 1800’s who prescribed mercury inhalations for patients. And they are arguably less wise, too. The only real difference is that todaythere are more of themand so their voices seem to take on the illusion of authority and consensus. Consensus is not always fact. More often than not, it is merely the mass infection of many minds with official foolishness. At one time, after all, it was an established, consensus “fact” that the Earth was flat. More recently, even in 1847, a Hungarian obstetrician named Ignaz Semmelweis was viciously attacked by his colleagues for insisting that doctors should wash their hands before delivering babies (http://en.wikipedia.org/wiki/Ignaz_…). What Semmelweis discovered then is what every person who speaks out against the insanities of western medicine knows today: Western medicine is an arrogant, misinformed and dangerously ignorant system of control in which truth-tellers are routinely exterminated in order to maintain the mythologies upon which the medical industrial complex is based. Semmelweis was much like the Wikileaks of the 1840’s in the sense that he revealed “uncomfortable truths” that challenged the status quo and made a whole lot of really important-sounding people look like fools. Since really important-sounding people don’t enjoy looking like fools, they simply attack the messenger and increase their resolve to defend their ridiculous falsehoods and mythologies… even in the face of clear evidence that shows them to be wrong. Such is precisely the situation happening today with flu vaccines. To challenge the sanctity of seasonal flu vaccines and the regimen of annual shots (which just happen to coincide with steady profits for the drug companies) is to question the very foundation of western medicine. Without the mythology of vaccines firmly imprinted in the minds of the people, western medicine would no longer appear to have authority over the flu. If flu vaccines were halted for just one year — forcing people to turn to vitamin D instead —the illusion of flu vaccines would be forever shattered and the people would realize that taking seasonal flu vaccines hots is just as ludicrous as inhaling mercury vapor. The evil genius in all this is that people have been tricked into believing in vaccineswhether they work or not. When someone receives a vaccine shot, they consider themselves “protected” from the flu. So what happens if they get the flu anyway? They simply reason in their own heads that if they hadn’t been vaccinated, they might have experienced far worse flu symptoms. And if they don’t get the flu at all? Then they reason that the vaccinepreventedthe flu! Thus, with the right programming, flu vaccines can be thought of as useful and effectiveregardless of the actual health outcome. This is a classic red flag for a system of quackery. It’s one of the most common complaints leveled against energy medicine conventional scientists, in fact. They rightly point out that determining whether energy medicine really works for you is a guessing game: If you still get sick, you might think the energy medicine worked a little bit but not enough. If you don’t get sick, then you might think the energy medicine worked like a miracle. Such a logic matrix is prone to misinterpretation by patients and doctors alike. In both cases — energy medicine as well as flu vaccines — patients are likely to convince themselves that it’s working, even if there is no real evidence that their belief is accurate. Belief itself, of course, is perhaps the best medicine of all, and it is a distinct possibility that the small number of patients who seem to be helped by flu vaccines (one percent) may be experiencing the benefit of theplacebo effect. What’s really amazing about all this is that such clinical trials have already been done on flu vaccines, and the results are in: Seasonal flu vaccines prevent flu symptoms in about one percent of the people who receive vaccine jabs. And that’s if you believe the more optimistic conclusions of the vaccine manufacturers themselves, by the way (http://www.naturalnews.com/029641_v…). How would this quackery be viewed if it were an herbal remedy? From a scientific perspective, then, seasonal flu vaccines have roughly a one percent effectiveness rate, which means they have no apparent effect on 99 out of 100 people. What’s interesting about this is that if homeopathy, or energy medicine, or an herbal formula produced such poor results, it would be widely ridiculed as a quack remedy promoted via fraudulent marketing. A one percent effectiveness rate proves any “natural” remedy to be quackery, you see, and yet the same one percent effectiveness rate is more than sufficient to support the mythology of vaccines to those who believe the vaccine cult. What it all comes down to is really this: Seasonal flu vaccines are really 1% science and 99% wishful thinking. And yet, apparently, that’s more than enough reason for virtually the entire medical and scientific establishments to back seasonal flu vaccines as if they were scientifically proven while touting highly exaggerated marketing claims that imply one hundred percent effectiveness. In any other industry, marketing a product that didn’t work 99 percent of the time would be considered fraud. But in the vaccine industry? It’s just business as usual. The seasonal flu vaccine is a great money-making con, too. Imagine how much money you could make if you could convince hundreds of millions of people to buy a product that didn’t work on 99 percent of your customers, and yet 100 percent of them were convinced that they were receiving benefits from it! It’s a pretty clever con, and it all depends on promoting the mythology — or “catapulting the propaganda” as President George Bush famously said — in order to make sure that 99 percent of the wishful thinking that powers the flu vaccine industry remains in place. Because, let’s face it: If flu vaccines actually worked, the industry really wouldn’t need to advertise them so heavily, would they? If these vaccines really stopped flu infections with 100 percent effectiveness, word of mouth about flu vaccines would spread even faster than the flu itself, and virtually everyone would line up to get their “flu protection” shots out of sheer necessity. The only reason the industry needs to engage in such aggressive flu vaccine promotion is because flu vaccines are only based on 1% science, and the other 99% of the marketing formula depends on keeping people brainwashed into believing the false mythology of flu vaccines. Flu vaccines, in effect, are largely just placebo shots. If you think they’re going to work for you, then you’ll remain convinced of that regardless of whether you get sick or not. There wouldn’t really be any harm in that except for the inconvenient fact that vaccine shots contain harmful chemical ingredients that pose a health risk to those who take them. Thus, even while a flu vaccine may be providing as much as a 1% protection against the flu, it may simultaneously subject a person to a significantly smaller risk of a far more serious detrimental outcome: Neurological damage, convulsions, learning disabilities or even the accelerated development of Alzheimer’s disease. Are these risks really worth a 1-in-100 chance of preventing the flu? A rational answer seems to be no, they aren’t. Especially when the available evidence says that vitamin D supplements work far better at preventing flu infections. And vitamin D can be taken with virtually no health risks whatsoever. Even better, vitamin D supplements are not formulated with mercury preservatives, chemical adjuvants or other questionable chemicals that are typically added to vaccines. But don’t expect this sort of rational, clear-thinking discussion of flu vaccines and vitamin D to be undertaken by your physician. Doctors have already drank the flu vaccine Kool-Aid, and as a result the science no longer matters to them. Even if Wikileaks released definitive documents showing the entire flu vaccine industry to be a complete scam based on fraudulent science, most doctors would no doubt continue to push flu vaccines anyway because that’s what they’ve always done. Doctors don’t change course very often… especially not if they’ve participated as active members of the vaccine cult for several years (or decades). The likelihood of a doctor actually changing his mind on this issue of flu vaccines is even less than the likelihood of a flu vaccine preventing you from getting the flu this winter. And that likelihood is ridiculously low to begin with. So don’t hold your breath. And don’t hold out any faith for the idea that doctors will suddenly embrace scientific thinking, either. Because there’s no room for truly scientific thought in the membership ranks of the vaccine cult.